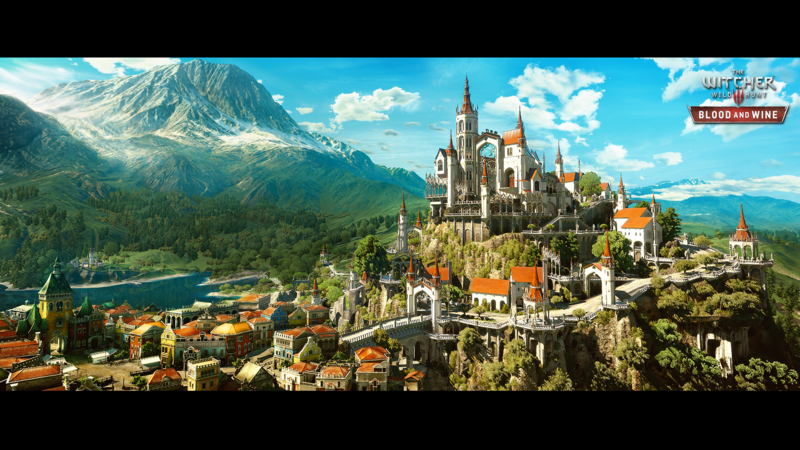 The Witcher 3 Blood And Wine, the second expansion of the popular role playing game developed by CD Projekt RED, is currently in development and there isn’t a whole lot we know about it, other than it will be set in Toussaint and feature an old, familiar character. Some new very interesting details on The Witcher 3 Blood And Wine expansion have emerged online today thanks to a new interview posted on Italian website Eurogamer.it. In this new interview, The Witcher 3 Senior Story Writer Jakub Szamalek has talked more about Blood and Wine and what players should expect from it. Like mentioned in the past, Blood and Wine will be the final adventure of The Witcher universe with Geralt as main character, a story without any strong relation with the main story. Mr. Szamalek believes the team has managed to create something that’s even better than the main game, also thanks to players’ feedback. Jakub Szamalek feels like the team didn’t manage to create a charismatic enemy for the main story so, with Blood and Wine, they have focused on creating a very memorable antagonist. The team also did the same with the Hearts of Stone antagonist so we should be in for something quite good. Jakub Szamalek also confirmed that Blood and Wine will feature a rather complex story that players will certainly enjoy. Yesterday The Witcher 3 has received the 1.12 patch on all formats. As mentioned last month, the new patch doesn’t include any new feature but only a variety of fixes for the Hearts of Stone expansion and the main game that improve the experience considerably. The Witcher 3 is now available in all regions on PlayStation 4, Xbox One and PC. The Witcher 3 Blood And Wine expansion will be released on a yet to be confirmed 2016 release date on all formats.